HMMH conducted a comprehensive noise and vibration study for the Sycamore Street neighborhood, located along the Metropolitan Atlanta Rapid Transit Authority (MARTA) East (Blue) Line in Decatur, GA. 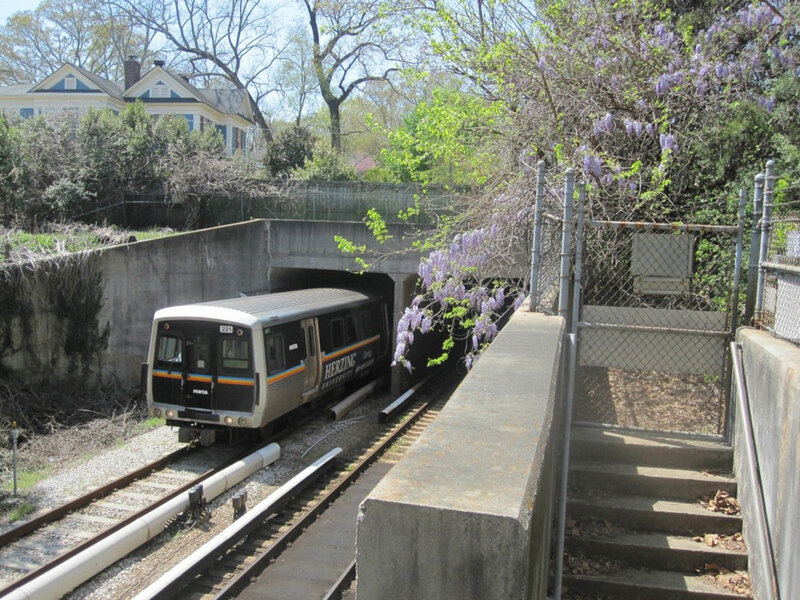 The objective of the study was to assist MARTA in addressing complaints received from residents in this area about noise and vibration from rapid transit train operations in the cut-and-cover subway tunnel that runs beneath Sycamore Street and in the Avondale portal area. The study involved an extensive measurement program that included vibration measurements on specific transit vehicle components and in the double box tunnel and portal areas, as well as noise and vibration measurements inside and outside specific residences during the passage of both test and revenue service trains. The results of the measurements were used to evaluate the existing noise and vibration levels and to develop recommendations for potential noise and vibration mitigation.